Do I agree with what the author says? Should his ideas be applied? How can they be applied in the context of the churches of Christ? The book is broken into three essays: “Christianity and World-Changing,” “Rethinking Power,” and “Toward a New City Commons: Reflections on a Theology of Faithful Presence.” Each essay has about six or seven chapters and I will likely devote two or three posts to each essay depending on the complexity of the material. Now with all of that said, let’s jump right in. I got caught up on a couple of things at my internship and the instructor for the only class I am taking cancelled one of our major assignments, so here I am. What’s more, hundreds many a handful a couple of my beloved readers have written to ask when I plan to return, so here I find myself. What did I miss? Well: This twitter thing has caught on something fierce, a development which I absolutely did not expect. I won’t be taking this up, however. I can’t imagine that my life is that interesting minute by minute, even to me. I’m sure that I missed blogging on some other things, but for the life of me I can’t think of them right now. Consider this an invitation to do an open thread in the comments. I recently finished Go-Go Girls of the Apocalypse by Victor Gischler. I think whether or not this book is for you will depend on your response to the title, because it delivers exactly what the title promises: an action-packed post-apocalyptic satire set in a future US where the most powerful business, bordering on a fiefdom, is a strip bar franchise. The humor is dark but the characters are endearing. Right now I am reading L.A. Outlaws by T. Jefferson Parker. So far, it is a good read with an interesting plot and believable characters. More after I finish it (maybe). A few years ago a good friend turned me on to the work of a local writer, George Pelecanos. I immediately took to his books for several reasons. He is a local, born and raised in Silver Spring, MD. Because his books are set in and around D.C., I always recognize the references to local places, music, and culture. He always writes about life-long residents of the area and what life is like here for people who aren’t involved in politics. Most importantly, of course, Pelecanos can write. As my friend says, the man has style to burn; and many critics include him in the newer school of mystery writers (such as Dennis LeHane and James Lee Burke) who deliver all of the goods: great stories with action, humor, and twists; believable characters; meaty (but not too wordy or contrived) prose; and social and spiritual themes. 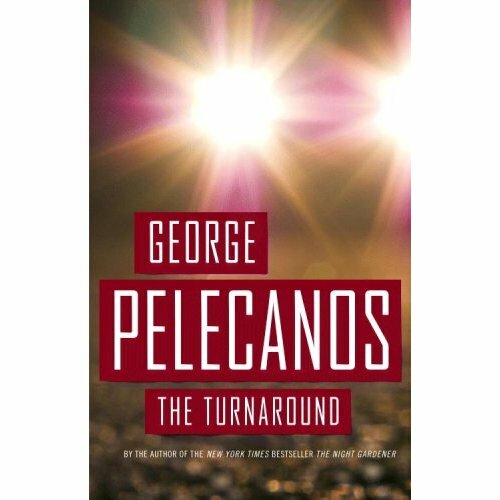 I just finished Pelecanos’ latest, The Turnaround, and I think it may be his best yet. The story opens in 1972 when three white teenaged boys pull a rather stupid stunt: driving into an all-black D.C. neighborhood, shouting epithets at passersby from their car, and then plan to make a quick getaway. Unfortunately for them, they drive into a cul-de-sac (the “turnaround” of the title) and are trapped by three teenaged boys from the neighborhood. As one might expect, violence ensues; one of the white boys ends up dead, another gets beaten within an inch of his life, and two of the black boys end up in prison. The story then picks up 35 years later when two of the survivors of the incident encounter each other through a shared interest; their interaction draws in the other survivors of the incident as well. Pelecanos does a great job of showing how the incident affected each person involved with sometimes tragic consequences. He also convincingly shows how these once-cocky kids have grown into (mostly) admirable men and their halting, awkward efforts to lay the past to rest and to try to set a mistake right. Of course, one of the boys has grown up into a thug who sees the chance reunion as an opportunity to settle scores and make a profit. One of Pelecanos’ consistent strengths is his antagonists; though dangerous and cruel, none of them are the type of high IQ super villains one normally gets in a crime novel; they are often as stupid and pathetic as most real-life criminals, which makes them all the more frightening. There are certain other things one can always expect with Pelecanos: painstaking attention to local and period music (the man practically writes a soundtrack into his novels), a preoccupation with the responsibilities of fatherhood, wrestling with questions of morality and what makes a good man (especially in a sometimes bad time and place), details about the work his characters do for a living, affectionate descriptions of all ethnic cultures (especially Greek culture), and characters trying to find redemption and make up for bad mistakes. Furthermore, he never tries to make his violence cool; it is always shocking and abrupt, and it always has consequences. I recommend all of his books if you like crime and mystery stories; but I recommend The Turnaround if you like large-scope stories with big themes, and an ending that may even bring a tear to your eye. 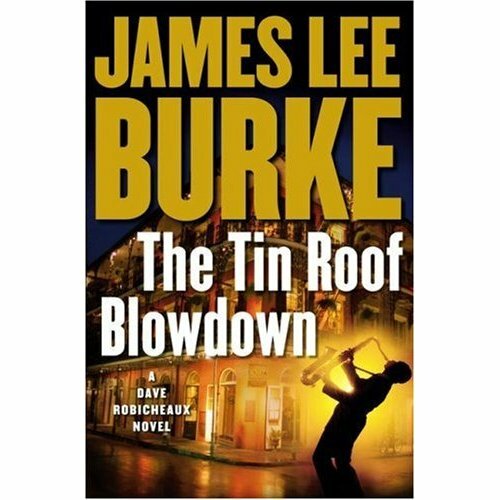 James Lee Burke’s latest novel The Tin Roof Blowdown is the 16th entry in a series about Dave Robicheaux, chief detective in the sheriff’s department in New Iberia, La. I discovered Burke in college, reading the first Robicheaux book, Neon Rain, on the recommendation of a friend and have read everything he has published since; while some books are better than others, there is not a dud in the bunch. And I think that this newest one may be the best yet. This is a crime series of course, and each novel has a compelling mystery driving the plot. However, there are many other pleasures in each book, especially for long-time readers. Burke excels at descriptions of nature and place, and the environment of southern Louisiana provides plenty of material for him. I have never been there, but after reading Burke for so long I can imagine the sights, smells, sounds, plant life, and wildlife with a clarity that makes me feel like I make annual visits. Burke’s depiction of New Orleans is similarly powerful; he writes with a deep and abiding love for the city but manages to maintain a clear eye to its crime, brutality, and corruption. The characters Burke creates are as varied and real as those of any other writer today, and with the exception of the occasional criminal psychotic, each is portrayed with sympathy and surprising psychological insight. Burke rewards long-time readers by never repeating himself, even with a recurring set of characters. Dave, his colleagues, his friends, and his family all seem fresh in each book because Burke has allowed them to grow and change in a realistic fashion over time. Unlike in many mystery series, where the characters seem stuck in a time warp that allows them to stay the same age, at the same place in life, and surrounded by the same people, the experiences of these characters stay with them, and nobody escapes the consequences of their actions. Each novel is narrated in the first-person by Robicheaux, and he often serves as Burke’s mouthpiece. Never one to see the world in black and white, Robicheaux will bust criminals because he has to, but he also understands the environments that help to produce them. Like his creator, he is a recovering alcoholic and strives at length to work the 12 steps and fend off a relapse. Again like Burke, he is a devout Catholic struggling with his faith and searching desperately for things that affirm the existence of the God he wants to believe in while doing a job and dealing with people that could easily burn his faith down if he lets them. Far from perfect but constantly trying, Robicheaux works hard at living up to his responsibilities as a cop, husband, father, and friend. Dark stuff, certainly. However, as he always does, Burke also gives accounts of heroism and resilience, celebrating the best in people during the worst of times. Robicheaux manages to find enough decency around him to give him hope for the human condition. In the wake of the hurricanes Robicheaux becomes swept up in a complex murder investigation that involves two of his best friends, several corrupt local businessmen, killers for hire, and an innocent long-suffering family. In addition to the satisfaction of a great mystery, the reader will also get a moving story and a sweeping examination of the effects of a disaster on people and communities. New readers could start with any book in the series, but for maximum enjoyment I strongly recommend starting at the beginning with Neon Rain. If you take this recommendation, I envy you; the first reading of a great book (or series of books) is always a treat. 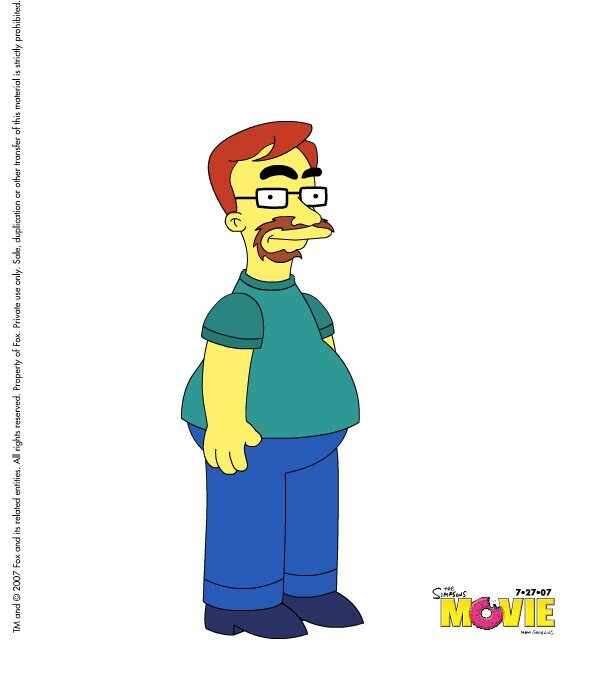 To get your own Simpsons avatar, click here. · Many of the heroes suffered from some fairly serious neuroses and personality disorders; one of them turned out to be a full-bore misogynist and sociopath, while another was an amoral government puppet. · The one hero with actual super-human powers gradually began to lose his humanity. · Thanks to having our own Superman, America would have won in Vietnam, thus ensuring Nixon’s popularity and allowing him to overturn the 22nd Amendment and remain president well into the 1980s. · America’s enemies abroad would be in a constant state of alert as a result of the American Superman, making nuclear war an even greater threat than it was at the height of the Cold War. · Anti-superhero riots would be a regular event. And these are just a few of the nightmarish results. The plot of the series centers on the efforts of Rorschach (the aforementioned sociopath) to find the murderer(s) of the Comedian (the aforementioned amoral government puppet). Eventually, Rorschach’s search draws in most of the other surviving heroes (all of whom have retired in the wake of a congressional act demanding that they cease their activities) and reveals a Byzantine plot that could kill millions of people. This is a complex, sweeping story that rewrites most of the history of 20th century America. Moore carefully weaves in scores of excerpts from books, newspaper and journal articles, and a memoir written by one of the retired heroes in the alternative history of the series. Scathing social and political commentary, ruminations on religion, philosophy, and the meaning of life, and subplots detailing the experiences of ordinary people in the world of the series all help to elevate the series above its medium (or maybe reveal the potential of the medium) and turn it into a work of serious literature (for those of you laughing in the back at this point, consider that Watchmen has received, among other honors and recognitions, a place on Time Magazine’s list of 100 Greatest Novels of All Time). 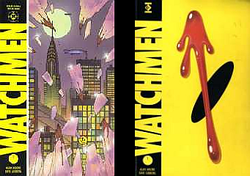 The series’ tagline, “Who watches the watchmen?” sums up the most critical issue of the story: How much authority over the destiny of the world should fallible human beings be allowed to wield? A question whose relevancy never diminishes. As a rule, I don’t like espionage novels. The prose tends to be humorless, the techno babble incomprehensible, and the characters mostly flat and cliché-ridden. Often, the heroes of such novels are, in the words of Raymond Chandler, a little boy’s idea of a tough guy. Most of them read like warmed-over James Bond. However, I just finished the novel Legends, by Robert Littel, and am ready to give it a whole-hearted recommendation. Littel is a former naval officer and journalist highly regarded by aficionados of spy fiction, and if this book is any indication of his usual caliber, I can see why. The story begins in 1993 with the brutal execution of a spy in a remote Russian village. It then jumps to 1997 where we are introduced to Martin Odum, a former CIA agent making his living as a private investigator in New York. A survivor of scores of missions under several false identities (“legend” is the agency term for a false identity) Martin is not entirely sure which of his legends is his true identity. He is approached by Stella, a young woman of Russian-Israeli descent to find her sister’s missing husband in order to obtain a divorce that is recognized by Jewish law, thus allowing Stella’s sister to re-marry. Initially, Martin refuses the case on the grounds that he has nothing to go on. However, when his former supervisor (or “handler”) from the agency pays him an unexpected visit and warns him off of the case, Martin decides to accept Stella’s offer, as much to find out what his handler doesn’t want him to know as to help Stella and her sister. As Martin’s investigation takes him and Stella around the world, chapter-length interludes give us background on Martin’s career with the agency and the various legends he employed in the course of his missions. The question of the hero’s true identity is always hanging over the proceedings: Is he really Martin Odum? Or is he Lincoln Dittman, historian, weapons expert, and arms dealer? Could he really be Dante Pippen, a former bomber for the IRA who now instructs terrorists in bomb building? And what does the execution at the beginning of the book have to do with Martin’s story? I am giving nothing away by telling you that the search for Stella’s brother-in-law and the resolution of Martin’s true identity are connected, but I defy you to figure it all out before the end of the book. Littel withholds no critical information, and all of the twists make sense in the end. Heavy doses of action, humor, social commentary and an entirely satisfying resolution help to make this a spy novel for people who don’t like spy novels. Christine and I saw Talk to Me this past weekend. It’s a biopic of Ralph Waldo “Petey” Greene, an ex-con who became a Washington D.C. radio and television personality and civil rights activist from the 60s to the 80s. Although I never caught his shows, I remember hearing about Greene while growing up in the D.C. metro area. Greene was famous for saying exactly what he thought regardless of who he angered. One might say he was the original “shock jock.” The movie focuses on the complicated relationship between Greene and Dewey Hughes, the radio station manager who gave Greene his big break and managed his career. Highlights include the incident in prison that Greene used to obtain an early release, his efforts at obtaining an honest job, and his legendary broadcast during the D.C. riots in the wake of the assassination of Martin Luther King. Greene stayed on the air for hours pleading with the citizens of D.C. to honor King’s memory by not rioting and taking the high road of peace. Don Cheadle stars as Greene and delivers yet another in a long line of great performances. He is one of those actors who just slides into a role without any fuss or “Hey Look At Me!” tricks. In other words, you don’t see him Acting. If you don’t recognize Cheadle’s name, you may remember having seen him as Basher, the British electronics expert in Ocean’s Eleven and its sequels; or as the lead in the excellent Hotel Rwanda, or his hilarious and frightening turn as Mouse in Devil in a Blue Dress. Hughes is played by the unusually-named British actor Chiwetel Ejiofor, a promising up-and-coming talent. I have enjoyed his work as the villain in Serenity (a great science fiction movie) and as Denzel Washington’s partner in The Inside Man. Although very funny and moving, this is not a film for everyone, and definitely not for kids. The language is rough and the filmmakers never shy away from depicting Greene’s faults, including his drug and alcohol abuse, manipulation of others, and womanizing. However, it does a great job of conveying the desperation of a reformed criminal trying to make something of his life through legitimate means and the power in just telling the truth, about one’s self and what one sees in the world.